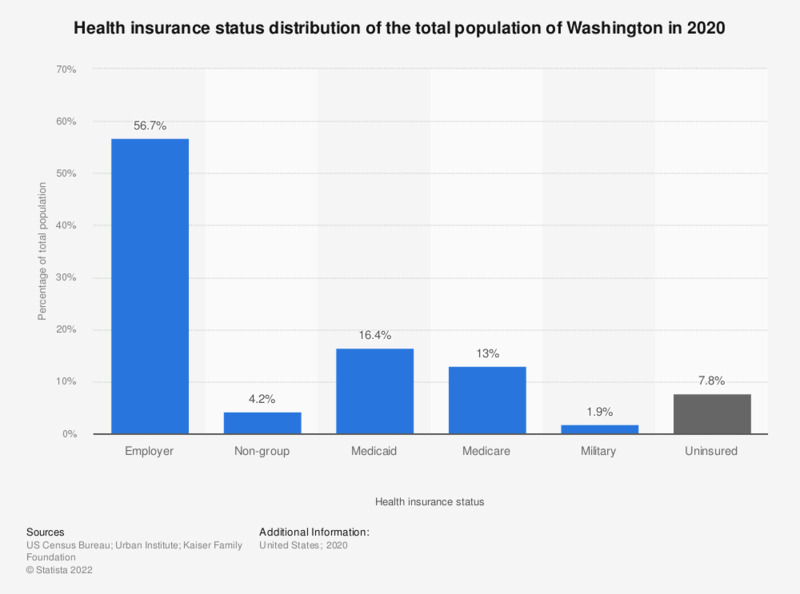 This statistic depicts the health insurance status distribution of the total population in Washington in 2017. During that year, some 6 percent of the total population of Washington were uninsured. The largest part of Washington's population was insured through employers.